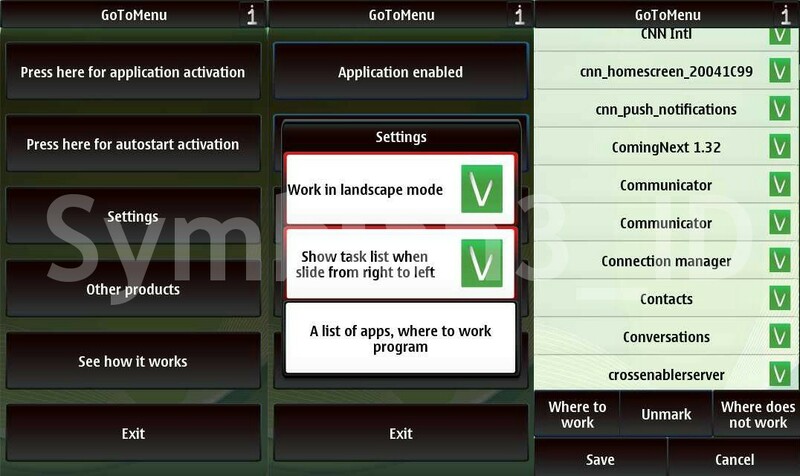 "GoToMenu" - "Swipe" your Nokia Touch Devices !! Simply touch the homescreen and "swipe" it to switch to your menu. The application is easy to use. You can setting the application to "autostart enabled", switch enabled/disabled.